The RSPB is asking people to spend a night in their back garden or their local nature reserve to raise money and help save our wildlife. The charity is also organising sleepout events across the UK for those who don’t have a garden or who want a wilder time in some inspiring locations. 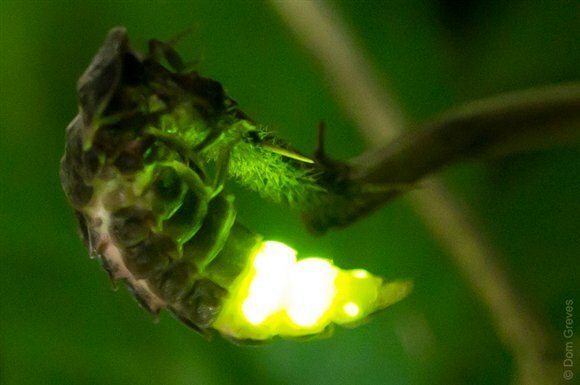 There will be special night time activities around the camp fire and a night time stroll, where you’ll be introduced to some special night creatures, including moths, nightjars, bats and twinkling glow worms (pictured above). The Big Wild Sleepout runs from 16-22 June and is part of the RSPB’s new Giving Nature a Home campaign, which is aimed at inspiring everyone to provide a place for wildlife wherever they live and however big their outside space is. Participants can spend a night in their garden, or at an organised sleepout event, discovering a whole world of wildlife on their doorstep. They can also help the RSPB to give nature a home by getting their sleepouts sponsored by friends and family, and firing up a barbecue, hosting a party and handing around the donation box.